These picture were taken during an upholstery cleaning in Tampa FL. 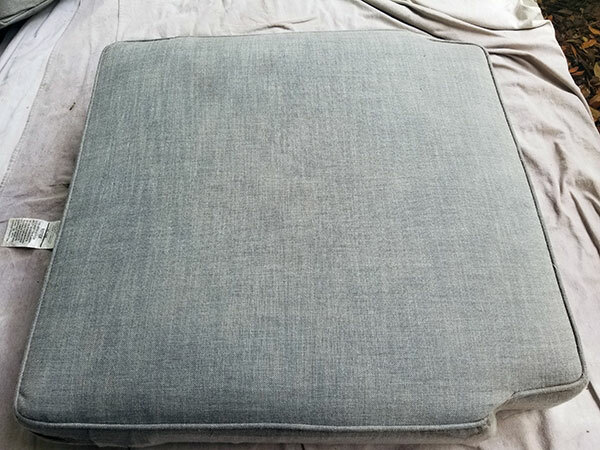 The upholstered cushion is from restoration hardware and has an acrylic covering. It's from an outdoor furniture set that was on my customers front porch for 5 years and had never been cleaned. If you don't live in Tampa FL I can tell you that the extreme heat and humidity can take a toll on outdoor furniture, even if it is under a covered porch. In the before picture you can see the layers of dirt that has built up over time. The lighter colored band on the left side of the cushion is were it had been covered by the back cushion and not in direct contact the sun and soil. 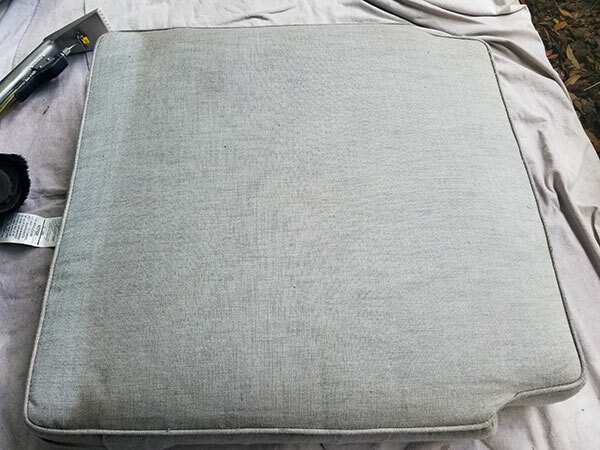 The after picture shows no layers of dirt and the lighter colored band is now blended with the rest of the cushion. Another excellent cleaning from Chem-Dry of Tampa FL.